Includes a soft fruit attachment to juice melons, berries, etc. Has the highest extraction yield – saves money on produce! Juice is long lasting – Up to 72 hours in the fridge! 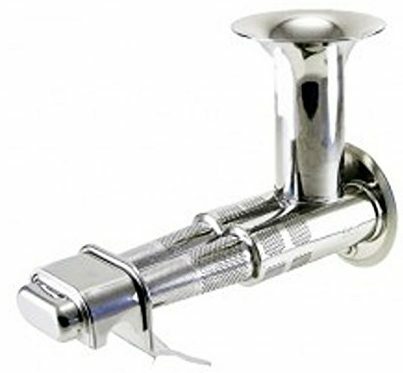 Made from high quality SUS-304 food grade stainless steel – No BPA! Note: To ensure security of your package, all orders are shipped with a signature requirement. Please provide a valid phone number where you can be reached upon delivery. 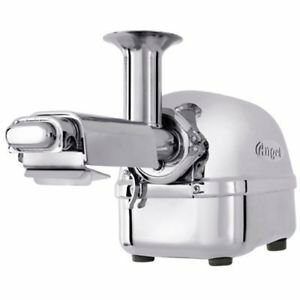 The Super Angel Deluxe twin gear juicer is one of the best juicers on the market. It is precision engineered from food grade stainless steel and is regarded as one of the most reliable juicers for home use. If you are serious about your health then the Super Angel Deluxe is made for you! The Deluxe is an upgrade to the discontinued Super Angel 7500. The new Super Angel Deluxe has an updated motor, gear box, safety sensor, cooling system and control panel. Additionally, the Deluxe is an upgrade to the Plus and Pro models. This top-of-the-line juicer is made from high quality food-grade stainless steel (SUS-304); while the Premium Deluxe is made from surgical-grade stainless steel (SUS-316). The stainless steel is easy to clean, dishwasher safe, BPA-free, and does not contain any toxins. All Super Angel juicers come with twin gears for maximum juice extraction. This enables the Super Angel to squeeze more juice out of your produce and provide a high quality juice. 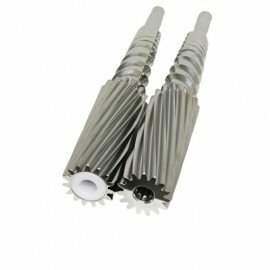 The twin gears are 8-3/4″ long and are completely made of stainless steel, unlike the plastic gears commonly found in juicers. Each gear has three stages of juice extraction. The first stage applies pressure on the fruits and vegetables while the next two stages continuously grind your produce. 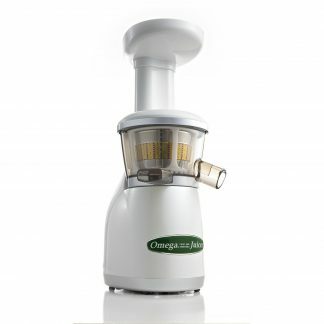 The juicer outputs a very dry pulp and 20-30% more juice compared to other juicers. The twin gears spin at a slow speed of 82 RPM. This allows your juice to retain healthy enzymes and nutrients. Additionally, your juices will have long shelf lives since little heat transfers to the juice during the extraction process. The Super Angel juicer is versatile and able to juice all different types of fruits and vegetables. It can handle anything from carrots and apples to pine needles and wheat grass. You can also juice soybeans, make nut butters, or prepare delicious frozen sorbets with the Super Angel. Here is a video of the Super Angel juicer in action. 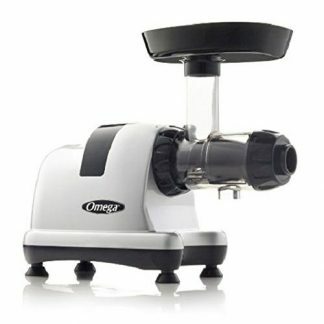 The Super Angel Plus is the base model of the four Super Angel juicers. The Super Angle Plus has a simple control board that makes the juicer very easy to use. All the parts are stainless steel and the juicer has automatic thermal cooling. The major upgrade to the Super Angel Plus is that it includes a manual reverse function. You can unclog the juicer without disassembling the entire machine, but this has to be done manually. The Super Angel Pro includes all the features of the Super Angel Plus along with an anti-jamming auto-reverse feature. This feature enables the Super Angel to automatically clear jams. This process is done manually with the Super Angel Plus. 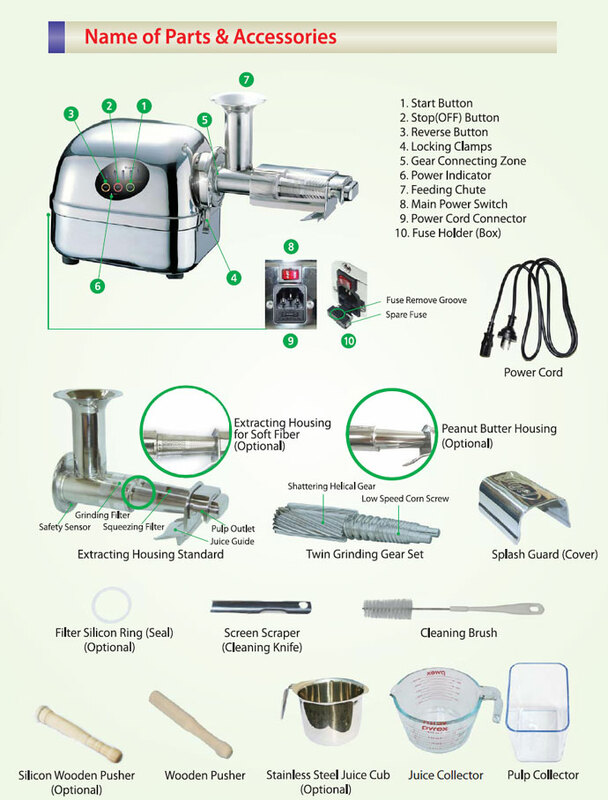 The Deluxe model includes all the features of the Pro model along with an attachment for soft fruit extracting. This attachment is perfect for extracting juices from strawberries, mangoes, grapes, and raspberries. 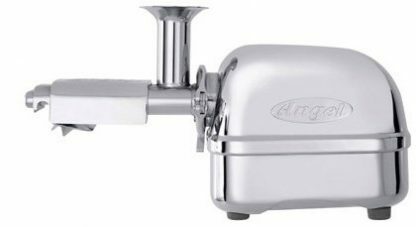 The Super Angel Premium Deluxe comes with twin gears and a standard extracting housing made of SUS-316 surgical grade stainless steel instead of 304 high quality food grade stainless steel. The surgical grade stainless steel is more resistant to sea salt, sea water, and de-icing salts. However, both types of stainless steel are safe. The Premium Deluxe model does not come with the soft fruit extracting housing. SUS-316 surgical grade stainless steel is more resistant to sea salt, sea water and de-icing salts. Both types of stainless steel grades are safe, do not leach out, do not react with food, and do not rust like a stainless steel saucepan or stainless steel pot. Plant Based Pros is an Authorized Retailer of Super Angel products.